Birchwood Casey's Vektor shooting glasses feature a free floating, monlithic lens design, non-binding temples and a comfortable fit. These glasses are paired with their Krest 24 ear muffs, their lowest profile muff that still offers the benefits of a full sized muff. A set of foam plugs are included for maximum hearing protection. Birchwood Casey &apos;s Vektor shooting glasses feature a free floating, monlithic lens design, non-binding temples and a comfortable fit. These glasses are paired with their Krest 24 ear muffs, their lowest profile muff that still offers the benefits of a full sized muff. 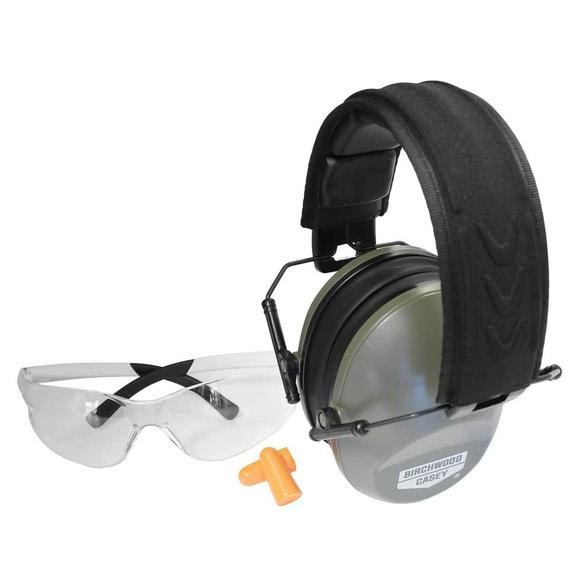 A set of foam plugs are included for maximum hearing protection.